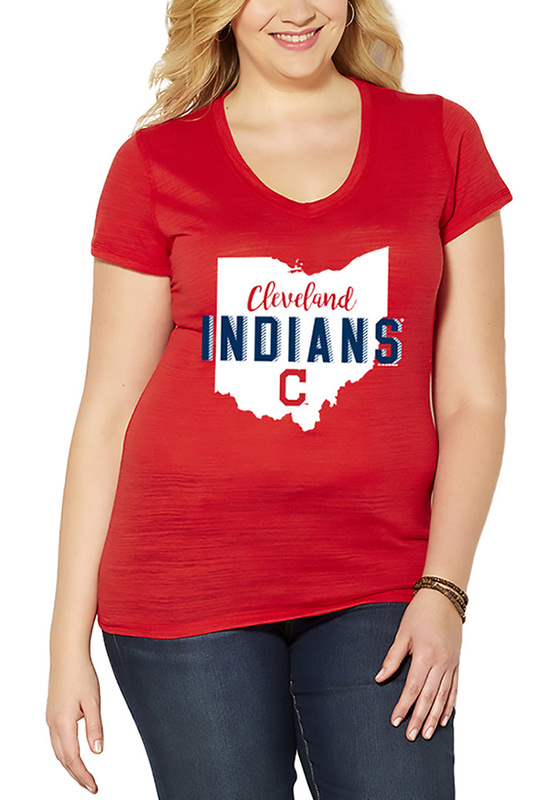 Let everyone know who you root for in this Cleveland Indians Red State Shape Short Sleeve Short Sleeve Plus! This Cleveland Indians Short Sleeve Tee features a screen print Ohio state shape with team name and logo on center chest. This poly-blend v neck is the perfect addition to your every day tee.